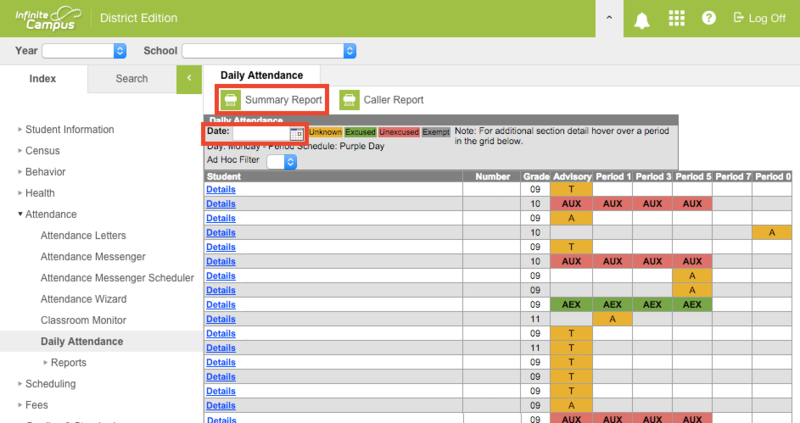 How do I print the Daily Attendance Summary Report in Infinite Campus? In order to reconcile the signed weekly teacher rosters to the monthly reports we use a helpful report called the Daily Attendance Summary Report. Ideally, if this is printed at the same time as the weekly teacher rosters and the monthly attendance, the risk of discrepancies between these reports is minimized. To print this report navigate to Attendance > Daily Attendance. 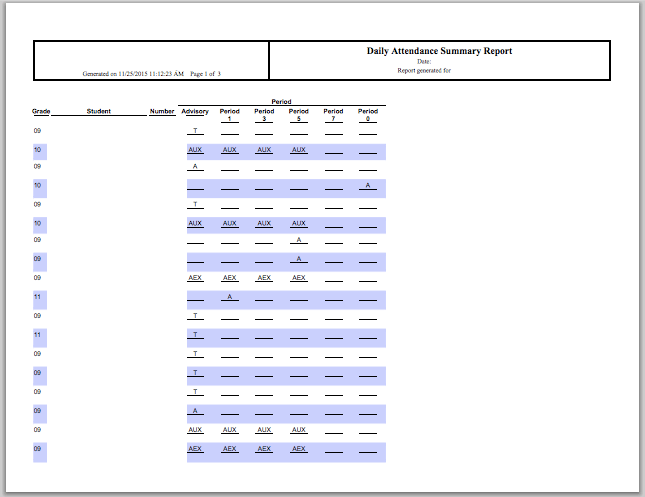 Your output should look something like this with the title “Daily Attendance Summary Report.” Print this report and store it with your signed weekly teacher rosters.